The initial thought for this, Johnson’s third book, came whilst pacing backwards and forwards backstage at a design conference in Germany. Johnson was waiting to follow the penultimate speaker, Erik Kessels, who had an audience of normally straight-faced Germans in stitches of laughter with his collection of found images. ‘I wrote a mental note to myself there and then’ explains Johnson, ‘something along the lines of – never follow a Dutchman onstage who has been showing pictures of erect penises for 50 minutes.’ A few weeks later he began a long train journey remembering that note, and by the time he arrived he’d written almost 200. 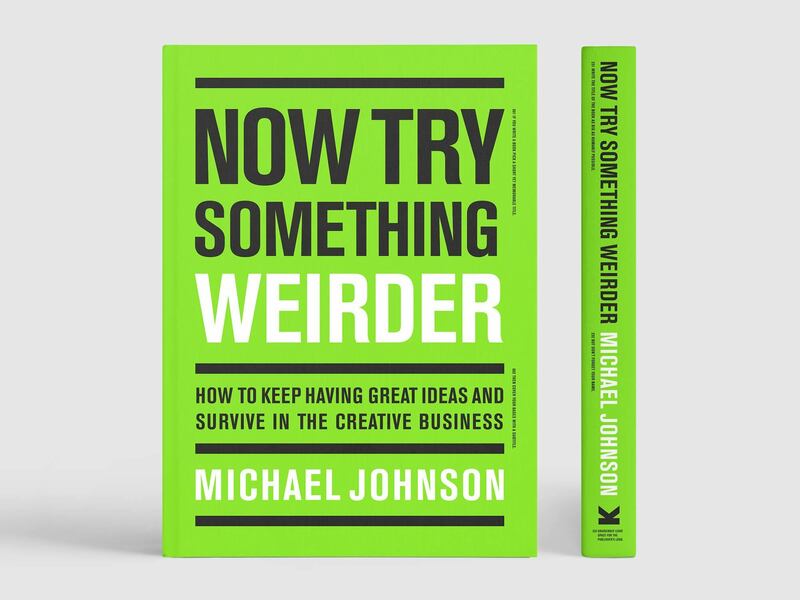 In its final form, Now Try Something Weirder packs 233 hints, tips and ideas into a pocket-sized, easy-to-read handbook, written to help all types of creative – from student to graduate, from creative director to business owner. A book to stuff in a bag, read on the train, or in the loo. Not to be thought of as gospel, or taken too seriously – but a book that has taken him 30 years at creativity’s coalface to write. It partly draws on his unusual early career (he had eight jobs in eight years and was fired from three of them) before using dozens of examples from the Johnson Banks portfolio to illustrate his points. It also adds images from world-class designers such as Michael Bierut, Paula Scher and Jim Sutherland.